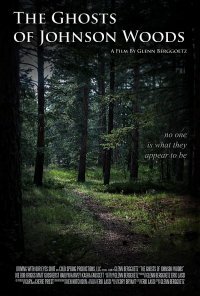 Your movie The Ghosts of Johnson Woods - in a few words, what is it about? The film is about an awkward, heavyset twenty-something who strikes up a peculiar relationship with a very pretty high school girl. 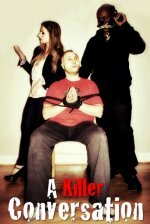 They decide to make a low-budget horror film together so they can make money and become famous, but the relationship, and the film shoot, takes a very dark turn. With The Ghosts of Johnson Woods being about no budget filmmaking - is any of this based on personal experience or popular anecdotes or anything of the sort? The way the two main characters, Lenny and Heather, try to make their horror film isn't that far off from how we've shot some of our films. It's a bit stripped down from what we normally do, but not much! (Other) sources of inspiration for The Ghosts of Johnson Woods - and with the movie being a horror film, is this a genre especially dear to you? The genesis of the film came when I found out that one of my best friends from grade school, John Bova, had died at just 44 years old. I hadn't seen him since we were thirteen years old and his family moved five hundred miles away, but we had written letters back and forth for years until he apparently really got into using alcohol and possibly drugs, then I never heard from him again. This was years before the internet developed. Anyway, about five years ago I googled him, and the first thing that came up was John's obituary, which gave scant few details of his life or death. So I began to try to piece together how his life and death had gone, but since I couldn't find any details about him, my imagination ran wild. So early on The Ghosts of Johnson Woods was to be an ode to what I thought may have happened with John. I began embellishing the tale so much, though, that by the time the script was completed, I'm sure it has little to nothing to do with any part of John's life or death. The horror genre has become more dear to me in the last few years. I find it an interesting and fun genre to explore. Since we shot The Ghosts of Johnson Woods we've shot a horror feature film titled Paralyzed with Fear starring Kane Hodder of Friday the 13th fame (it's due out in 2017), and I've shot three short horror films for the British horror film anthologies 60 Seconds to Die and its sequel, 60 Seconds 2 Die 2 produced by Tony Newton. 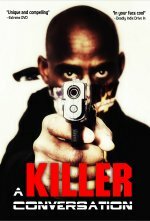 The first installment has just landed a distribution deal, and the sequel is in post production. In addition, I'm a part-time college professor at Indiana Tech, and in the spring I'll be teaching a course titled Horror in Film & Literature, so that will be a fun exploration into the horror film genre. Speaking of horror, what can you tell us about your movie's approach to the genre as such? The Ghosts of Johnson Woods isn't the standard horror film. There's very little blood as the film relies on plot twists to build tension before things take a very dark turn late in the film. So those people who are looking for a slasher film or a film filled with lots of violence might be disappointed, but for those people looking for an intriguing tale with a horror twist, they'll be very happy. In The Ghosts of Johnson Woods, you pretty much limit yourself to a very small handful of actors and locations - so how limiting and/or liberating was this in fact? I find a small cast to be liberating in that it allows for us to explore their characters in more depth. It's also liberating in that it reduces stress - it's much easier making sure that two or three people arrive on time and know their lines for a day of shooting rather than hoping that ten or twenty people will all show up on time and know their lines. And with The Ghosts of Johnson Woods, I had already worked extensively with stars Matt Goosherst, Haidyn Harvey, and Kasha Fauscett, so I knew all three of them would show up on time and know their lines since they're all such professionals. And with Joe Bob Briggs, he was all I could have dreamed he'd be. He was on time, knew all his lines, was friendly and professional, and was nothing but a pure asset to the shoot. In regards to limiting the number of locations, that's pretty much a staple of small-budget filmmaking. It has to be done since we're shooting the films on such tight time constraints that we aren't afforded the luxury of setting up and taking down equipment all over town since those things take a lot of time. It is liberating, though, because it's one less worry to factor into the shoot. With Joe Bob Briggs, he and I had corresponded briefly via email because I found out he had liked our film Midget Zombie Takeover. I had never had a big name in one of our films previously, so I contacted him about The Ghosts of Johnson Woods, and he said he was interested. Two or three emails later we had all the details worked out, and he was in the cast. With his many, many years on TV and his roles in such films as Casino and Face/Off, I knew he'd be a major asset to the film and draw attention to it. With Matt Goosherst, he was perfect for the role. He was one of the stars of Midget Zombie Takeover, and he did such a great job in that film that I knew he'd be great for this film. Plus, with his size, he was perfect to play Lenny. When it comes to Haidyn Harvey, she's nothing but awesome. We've worked together on films since she was eleven years old (most notably in To Die is Hard and The Worst Movie EVER!, plus she's one of the stars of Paralyzed with Fear), and she's always professional and fun to work with. Plus she's grown into a beautiful young woman who was a perfect contrast to the awkward, heavyset Matt. With Kasha Fauscett, she and I have worked together on The Worst Movie EVER!, Auto Shop of Horrors, Paralyzed with Fear, and other projects, and Kasha is always such a pro and super fun to work with. 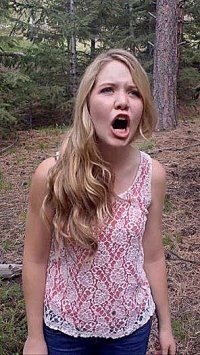 When we needed a hottie to play a prostitute in The Ghosts of Johnson Woods, Kasha was the one to fit the bill. When I make a film I like to give the cast members a lot of leeway in playing their characters as they wish to play them, and The Ghosts of Johnson Woods was no different. Having worked with Matt, Haidyn, and Kasha previously, they certainly have my respect and faith that they will do a great job developing their characters, and Joe Bob was just as fantastic in embracing his character and playing him in a way that I loved. When it comes to directing the crew, since we shoot our films so quickly (we shot The Ghosts of Johnson Woods over the course of a four-day weekend) I'm often having to be annoying to them to remind them to keep moving quickly as we don't have time for elaborate set-ups or intricate shots, so I always feel bad for them. We had a blast shooting this film. Matt and Haidyn were a riot with all their hijinks and shenanigans, and crew members Erik Lassi, Ken Hutchison, Karl Jurgens, and the others were all fun and cutting up on a regular basis. One of the scenes that really stands out in my mind was when we were shooting the masturbation scene with Matt. As intense and disturbing as that scene is in the film (due in large part to Erik Lassi's fantastic edit of the scene), with all the one-liners that Erik, Matt, Ken, and Karl were dishing out during the shooting of the scene, it's amazing we even got that scene shot! We're in the process of getting reviews of the film right now, then will use blurbs from those reviews to get the film into some theaters in the US. From there it'll be a free-for-all. There's an independent TV station in Toronto that wants to air the film during their Halloween programming next month, and a Roku movie channel would like to begin airing the film. Hopefully with the quality of the film and with Joe Bob Briggs headlining it we'll find many other outlets for the film. Anything you can tell us about audience and critical reception of The Ghosts of Johnson Woods yet? We've only received a handful of reviews so far, but every one of them has been incredibly positive. The film has also screened at a number of film festivals, and every time the audience loved the film, so I'm really excited for the possibilities of the film. I'm super excited to see how Paralyzed with Fear turns out. We're also quite far along on the edit of a dramatic feature film titled LoveSexHate that should be ready for a 2017 release. I'm excited to see how 60 Seconds to Die and 60 Seconds 2 Die 2 turn out as those films seem as if they have the potential to garner a ton of attention. Finally, hopefully next spring we'll be shooting a comedy titled Poetry Slammed that lampoons the world of poetry slams - I have the cast, crew, and script in place, now it's simply a matter of financing it and getting it shot. I imagine that film will see a 2018 release. My personal website that has info on me and our films, and through which I book speaking engagements, is located at www.glennspeaks.com. The Facebook fan page for The Ghosts of Johnson Woods is located at https://www.facebook.com/ghostsofjohnsonwoods/. 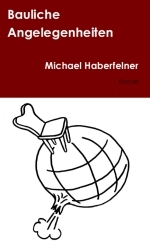 The website for purchasing my book The Independent Filmmaker's Guide: Make Your Feature Film for $2,000 is https://www.amazon.com/exec/obidos/ASIN/B00BFUOZT6. I'm so thankful and grateful for all the incredible work that so many people have contributed to our films over the last ten years. These people work for so little pay, and they're so talented, that I'm forever indebted to them. I certainly can't name them all, but crew members like Erik Lassi, Alan Dague-Greene, Nick Falls, Bill Greene, and John Miller have contributed so much for so little. And cast members like Baird Lefter, Eileen Barker, Greg Nemer, Lauren von Engeln, and Maya Grace have given so willingly of their incredible talents that I'm awed and inspired by what they do. Hopefully one of these days our films will garner a large enough following that I can begin to compensate these people as they deserve to be compensated. Hopefully we're moving in that direction as half a dozen of our earlier films will soon be available on the Roku movie channels Sage Films and 24 Hour Movie Channel.